What ideas do I have about myself? How far have these ideas taken me in life? 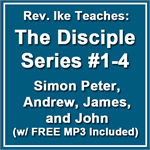 In this 40-minute lesson, Rev. 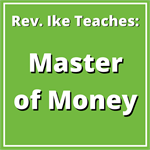 Ike shares mind-altering concepts of health, failure, self-esteem, negative self-talk, and so much more. This session will open your eyes, your mind, and YOU to the many opportunities that await you. You will even laugh while you find out more about yourself than ever before! Rev. Ike explains how people go around cursing themselves without realizing it, praying for one thing and yet believing another. He teaches you that you cannot afford to go forth into life being at cross-purposes with yourself and how you can stop the cycle. You are never going to experience good spiritual, mental, physical, or monetary health until you learn how to go forth into life on the Good Foot, with a healthy idea and belief about yourself. 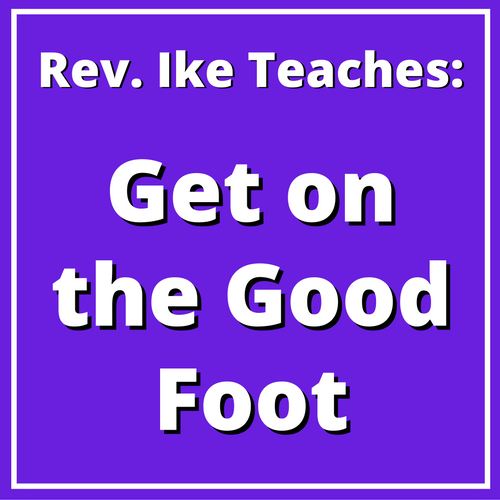 So you need to “Get on the Good Foot” and find out the truth and power of who you are within, the TRUTH OF YOU, and then will you find that your outward circumstances will have to change to conform with this truth!